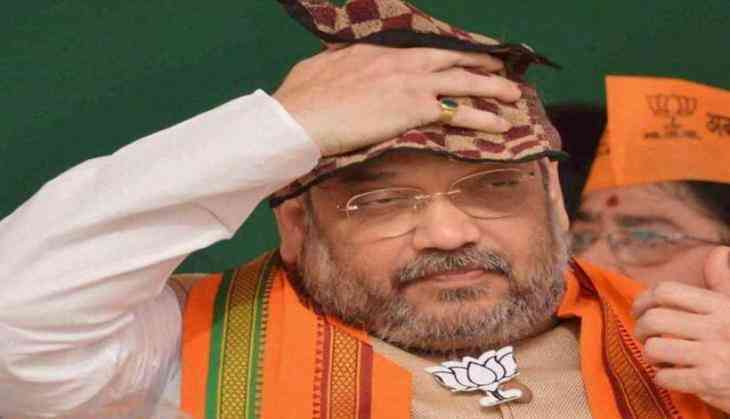 BJP president Amit Shah Thursday said the Modi government has ensured welfare of the poor irrespective of their religious background and asserted that no major communal riot has occurred in states where his party is in power. Speaking at the inaugural session of the BJP minority wing's convention, Shah said his party is committed to the welfare of the people irrespective of their religion and took a dig at the Congress, saying those who claimed that minorities have the first right on the country's resources did nothing for them. He also referred to the Modi government's push for the passage of Triple Talaq Bill, which calls for imprisonment for Muslim men accused of instant divorce, and said it is meant to give justice to Muslim women. The school dropout rate of Muslim girls has fallen to 32 per cent from 72, he said, adding that the government's schemes to connect the poor with power and LPG connections has benefitted Muslim women as well. The "'waqf mafia" looted waqf board's land due to protection of pseudo-secular parties, Shah said, attacking the opposition.